As a full service digital agency, we engage our time and talents to help our clients achieve positive social and environmental change. Photo: Great Swamp National Wildlife Refuge (Morris County, NJ). 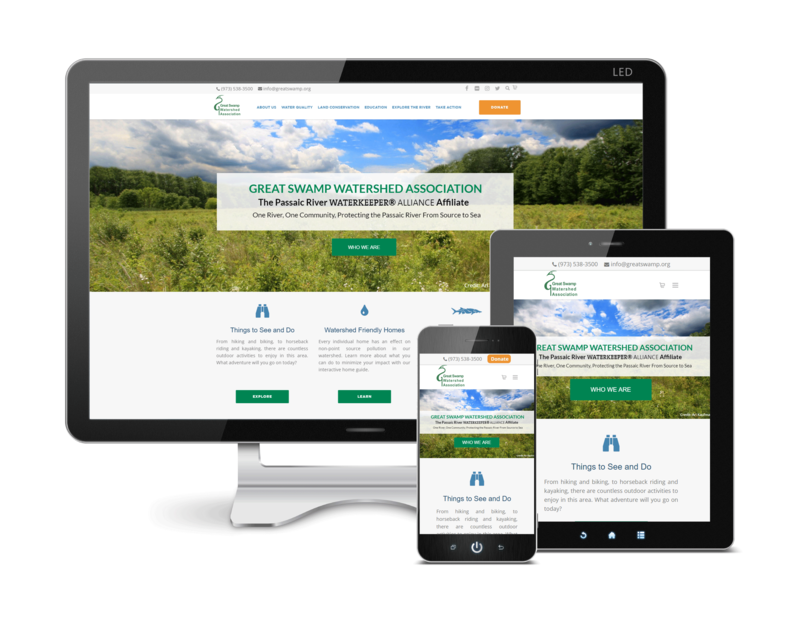 We worked with the Great Swamp Watershed Association in 2017 to re-envision their website. Learn how we can help you develop a strong web presence and realize your business objectives with our full line of services. We create custom website designs based on your branding, color palette, functionality requirements, and best usability practices. We pay special attention to user experience and setup your site for maximum site visitor conversion. 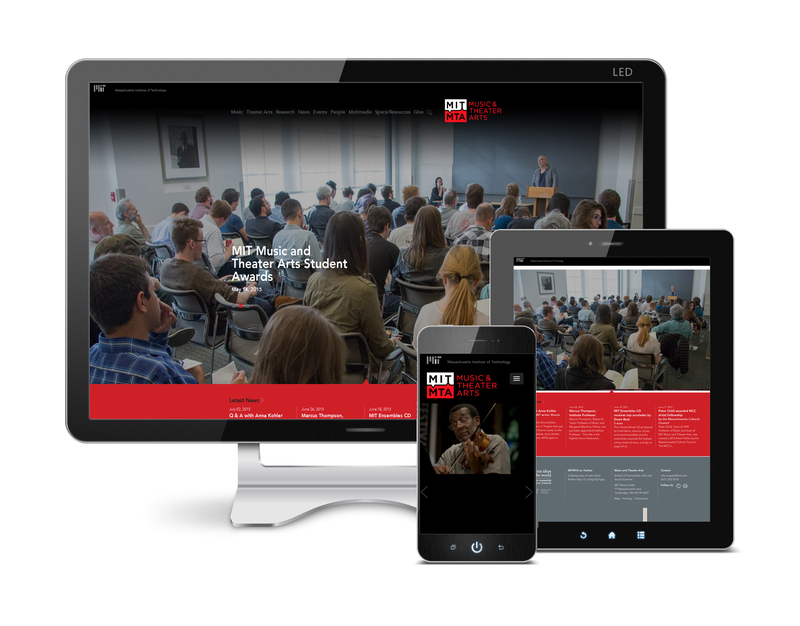 A well-designed website is only the first step towards a successful online presence. To ensure your website has maximum impact, we offer a full range of comprehensive strategic online marketing and SEO services. We are experts at building customized robust web-based applications and solutions for our clients. Red Sequoia designs responsive and engaging websites to help you connect with your audience in meaningful, productive ways. We collaborate with you to create or revitalize your site based on your goals and preferences. Take a few moments to see how we bring new concepts to life with our imaginative designs and technical expertise. Red Sequoia worked with ArtPlace to completely redesign and re-imagine their website. 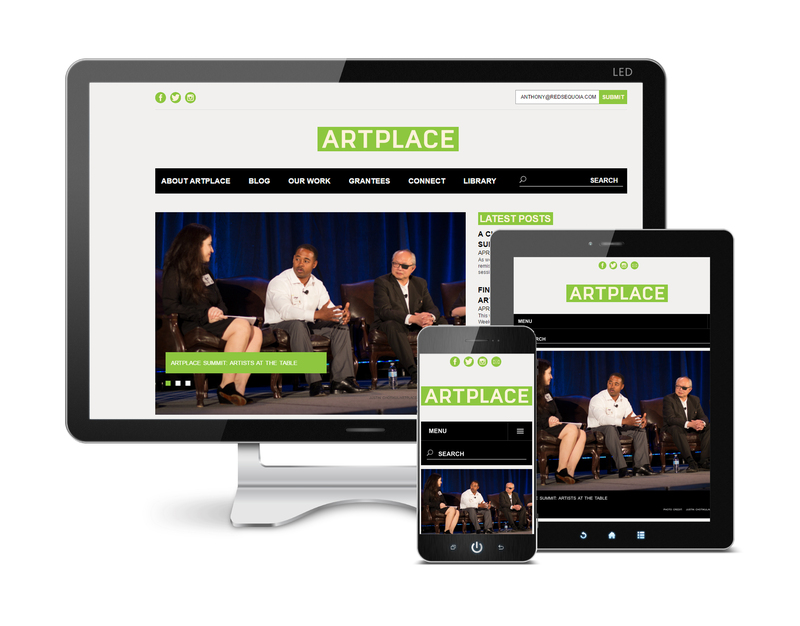 We worked with ArtPlace to ensure the branding and messaging properly reflected their company and culture. The Great Swamp Watershed Association is a New jersey based association dedicated to protecting and improving the water resources of the Passaic River for present and future generations. Massachusetts Institute of Technology Music & Theater Arts website is a newly designed and merges two previous websites of the Music and Theater Arts departments. Red Sequoia is dedicated to contributing to positive social and environmental change. As a full service green web design company, we minimize our carbon footprint through conservation methods, and we engage our time and talents to help our clients achieve positive social and environmental change. At Red Sequoia, our goal is to help you navigate the online landscape and best leverage the opportunities that the web presents to your particular organization. Come to us with your business problems, goals, and dreams, and we will work with you to put solutions in place that deliver lasting value for your organization.